What started as a grassroots effort in South Carolina in the 1990s to call attention to hunger, has grown into a national fundraising event with over $10 million raised in 2016. 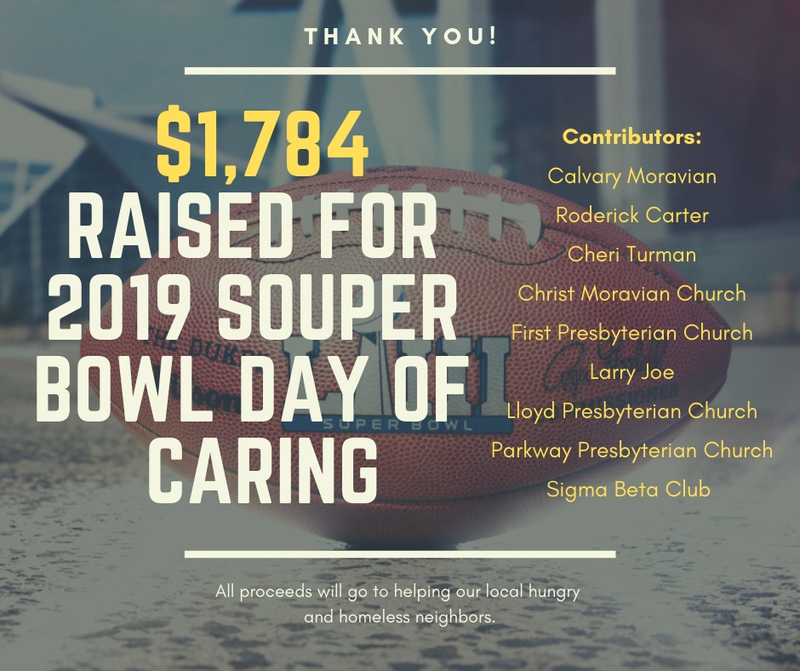 The Souper Bowl of Caring is centered on the NFL’s Super Bowl Sunday. On that day, millions of dollars are spent on food served at game day parties while many people are hungry. You, your friends and family can help in several ways. Church youth groups can take up a collection after the service on the day of the big game. Some people collect money at their Super Bowl parties. Other people organize church youth to collect at church suppers and other events during the holidays or Super Bowl Sunday. After you collect your money, all you need to do is donate your money to Samaritan Soup Kitchen. For more information, go to: www.souperbowl.org. To donate to Samaritan online, click here. Be sure to designate Souper Bowl.